Anantagiri Hills are located at the top of the Elysian Tirumala Hills and is about 17 kilometers from the Araku Valley. 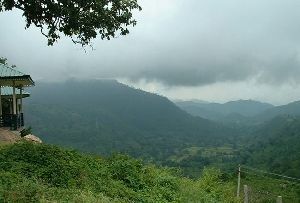 Anantagiri Hills are located along the Eastern Ghats. Anantagiri Hills is like a store house of energy. It can replenish the lost energy of a sick person and enable him to get back to normal life with former energy and vigor. The exquisite views of sunrise and sunset at Anantagiri Hills lures the tourists. Anantagiri Hills are replete with rare medicinal herbs which are indispensable for human use. The thrilling view of the landscape at Anantagiri Hills is mingled with its usefulness. River Musi floods the Anantagiri Hills making it an irrigable land. The coffee plantations add to the scenic elegance of this region. There are numerous waterfalls in this region and the gorgeous gorges offer unforgettable memories. The extravagant beauty of the Anantagiri Hills makes the tourists remember this place and so this place often finds a place in their personal diaries. The Bhavanasi Lake that flows across the Anantagiri Hills is also known as Badrinath elsewhere in India. Tourists escape to Anantagiri Hills in order to escape the tropical heat. The Borra Hills located just a few kilometers from the Hills are a million years of age. They are beautiful and splendid. The natural limestone deposit at the Anatagiri Hills is unique of its kind. Since there is no pollution doctors refer Anantagiri Hills as the best spot for the tourists who come here to replenish their lost energies.